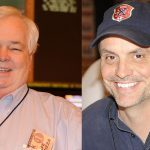 LAS VEGAS, NV (January 31, 2019) – Bryan Wagner, a 14-time National Horseplayers Championship (NHC) qualifier, and David “Trey” Stiles, who has qualified for every NHC since 2003, have been selected for induction into the NHC Hall of Fame, the National Thoroughbred Racing Association (NTRA) announced today. 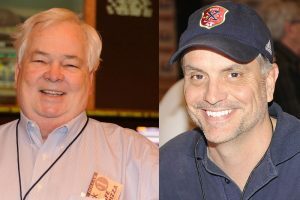 Wagner and Stiles represent the fifth class of NHC Hall of Fame inductees and will be recognized during the NHC Champions Dinner on Sunday evening at the conclusion of the 20th NTRA NHC Presented by Racetrack Television Network, STATS Race Lens™ and Treasure Island Las Vegas, set for Friday to Sunday at Treasure Island. Since its launch in 2014, the NHC Hall of Fame has inducted two impact figures each season, making Wagner and Stiles the Hall’s ninth and tenth members. “I am thrilled to hear Bryan is being voted into the Hall of Fame,” Judy Wagner said. “Bryan was almost a lifelong handicapper. It started when he learned to sneak into Fair Grounds in New Orleans as a young teenager. He had an unbelievable mathematical/analytical mind that was a perfect fit for handicapping. Stiles, an attorney in Houston, TX, began visiting the racetrack in his teens at Delta Downs and has gone on to become one of the most recognizable faces on the NHC Tour. A self-taught handicapper, Stiles played in his first handicapping contest in 2001 and began his record-setting streak at the NHC with a win at a contest at Retama Park in his native Texas in 2002. 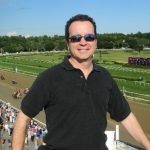 His knowledge serves both himself and other horseplayers well as he is also a NHC Mentor, teaching new Tour members the ins and outs and strategies involved with contest play. Wagner and Stiles join Steve Crist (2016), Mike Mayo (2015), Chris Larmey (2018), Ron Rippey (2015), Paul Shurman (2017), Judy Wagner (2016), Steve Wolfson, Sr. (2017), Steve Wolfson, Jr. (2018) as Hall of Fame inductees. The honorees are chosen by the NTRA in consultation with the NHC Players’ Committee. · And, contributed to the overall growth and success of NHC tournament play, with indelible positive and lasting results. #7 There have been many great trainers in British Flat racing over the years, but nobody has dominated quite like Tommy Smith did in Australia. For 32 years he won every single Trainers’ Premiership, from 1953 until 1985, earning 282 Group 1 wins along the way. He died in 1998, but his legacy lives on in the $2.5 million TJ Smith Stakes ran at Randwick in the Autumn. He is the father of 2013 Melbourne Cup-winning trainer Gai Waterhouse. #8 Vegas Showgirl is well known in the world of bloodstock as the dam of Winx, but the queen of Australian racing isn’t the only Group winner the 16-year-old has produced. El Divino was born in October 2013, two years after Winx, and has gone on to compete in a number of Group races in Australia. In April 2016, he was a dead-heat winner alongside the Godolphin-owned Astern in the Group 3 Widden Kindergarten Stakes at Randwick. 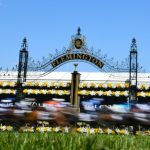 Off-Track Betting agencies in Nassau and Suffolk counties and across New York could shed their horse racing operations – their main function for nearly 50 years, but also a source of deficits in recent years – under proposals unveiled by the POS Gov. Andrew M. Cuomo last week. OTBs would have greater flexibility to operate under Cuomo’s proposed 2019-2020 budget, as they contend with declining racing revenues. 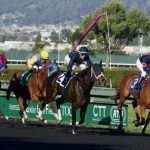 The budget proposal would allow OTBs to decide to get out of horse betting entirely or merge with other OTBs, officials said. 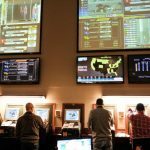 OTB officials and experts say Cuomo’s proposal, which must be approved by the state Legislature, may make it possible for betting agencies to pursue bigger moneymakers, such as video lottery terminals and, perhaps eventually, sports betting. But at this point Cuomo’s proposals are general, and do not set guidelines for what the changes would look like. 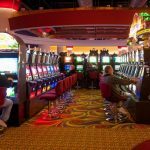 “The whole industry is on the phone, trying to figure out what does this mean,” said Phil Nolan, director of Suffolk Off Track Betting. OTBs were established in six locations in the 1970s to pass along profits from horse betting to local governments and to reduce illegal gambling. In Nassau and Suffolk, the OTBs have significant numbers of patronage employees. 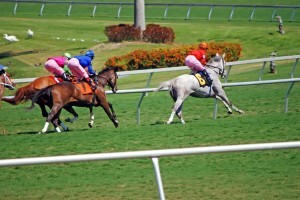 OTBs simulcast races, take telephone and internet bets and operate automated betting machines. In Batavia in Genesee County, Western OTB manages a racetrack at Batavia Downs. For racing media, one of the fun parts of the job, believe it or not, is waking up at ungodly hour, rain or shine, and visiting the barns of the players from the previous day’s big race. As expected, mostly the winners laugh, tell stories, and the losers say deal. Temporarily sidelined myself, I wonder what happened when my colleagues this morning only to find nobody was home. That didn’t happen, of course. With winners and losers celebrating or commiserating over dinner late into the South Florida night, Mike McCarthy and John Sadler still needed to show up and check on their horses before watching them be loaded onto a Lexington-bound van. So it’s not likely that City of Light or Accelerate would have been among this missing this am, but they won’t be around for long, leaving the racing’s stage forever–fertility issues notwithstanding. While City of Light separated himself from the 2018 handicap champion in the gloaming at Gulfstream Park on Saturday, both will soon arrive at the same stud farm to begin a second career. First-race post time for Saturday’s program is set for 11:30 a.m.
HALLANDALE BEACH, FL.–The new $7 million GI Pegasus World Cup Turf S. has attracted a diverse international array of runners and Japanese invader Aerolithe (Jpn) (Kurofune) may be one of the most intriguing of the group as a relatively unknown commodity on these shores. A three-time group stakes winner in Japan, including the 2017 G1 NHK Mile, the 5-year-old mare has never raced outside her native land. Aerolithe’s journey took a total of 21 hours and 25 minutes, traveling from Tokyo to South Korea to Anchorage to Miami. 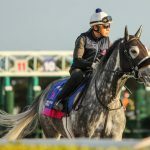 Owner Sunday Racing Co. and trainer Takanori Kikuzawa had originally intended to run Aerolithe in the GI Breeders’ Cup Mile Nov. 3, but travel issues derailed those plans. In her previous races in Japan, Aerolithe has run both clockwise and counter-clockwise, but her team feels counter-clockwise is her preferred direction, making her well-suited for American racing.